Want to know the fastest way to jump start a room makeover? Start with a fresh color scheme. Introduce colors that suit your style, personality and home. Decorating with color can sometimes be tricky. Colors change in different light, colors can sometimes be trendy and may leave you quickly with out-of-date decor. Also, we tend to react physically to color. For instance, deep navy blue is thought to settle a rapid heart beat and even dull an appetite. Green is associated with the meaning of growth, harmony and freshness. Inevitably color evokes emotion and memories that are sometimes good and sometimes not so good. 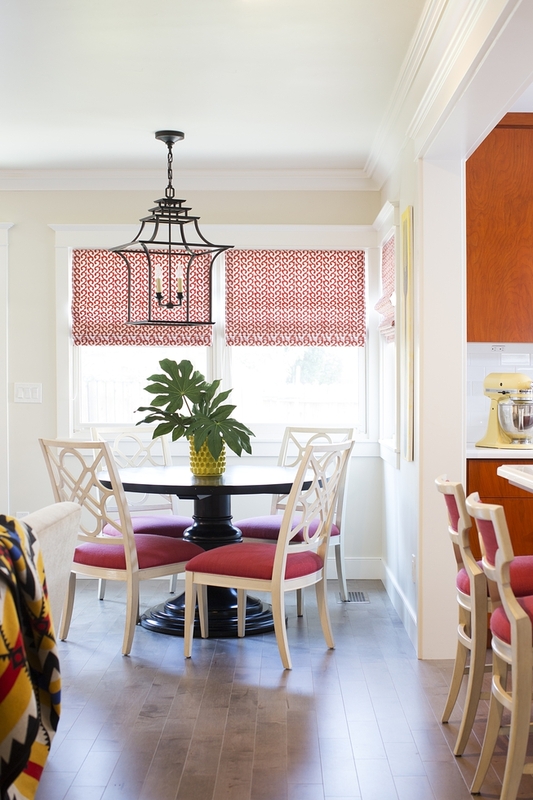 But designing and decorating a colorful home is delightful and when done correctly—with care and caution—the right mix of color can create stunning and sophisticated interiors with personality and style. 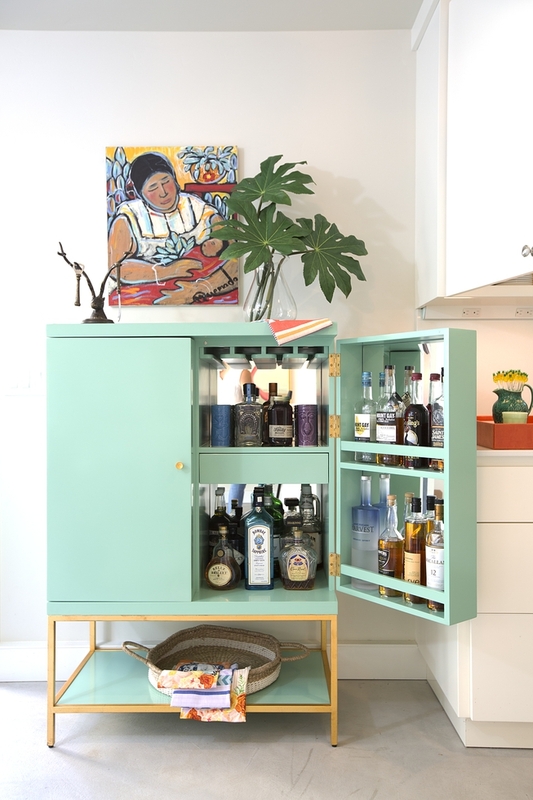 Recently one of our own Elite designers, Laura Neuman or PepperJack Interiors, was featured in for her fun and fresh take on a California bungalow. And today we turned to Laura to give us her 5 tricks to incorporate a vibrant splash of color into your home decor. I recommend selecting no less than 3 main colors for your palette. This will give your rooms creative depth and sophistication and will be flexible enough to vary color proportions in different rooms to change moods, even flexible enough to add new colors over the years. The color palette for this home began on a design board and includes clean pinks, oranges, reds, touches of yellow and a bit of contrasting green; a sprinkle of black pulls everything together. Select neutral finishes that embolden those colors you love. Neutral flooring, countertopseven backsplashes. And yes, that means neutral wall paint colors as well! You’ll have a classic and timeless home canvas on which your colorful tastes can be expressed, evolve and change gracefully over time. The finishes may seem dull when they are going up but be patient and haveconfidence that color is on the way! Do you like high contrast or perhaps something a bit softer? Choosing colors that are next to each other on the color wheel (analogous) - like yellow, red, and orange, will will instantly create a cohesive and stylish look without overwhelming a room. Working with complementary colors on the other hand - like red and green or blue and orange - adds boldness and energy when wanted. Strive to keep your selected colors the same value - all clean saturated colors or all toned, duller colors. The kitchen and nook area in this photo are bathed in clean, saturated magenta pink fabrics, orange woods and yellow kitchen accents. Set your color palette and repeat it everywhere changing the color proportions as you move from room to room. 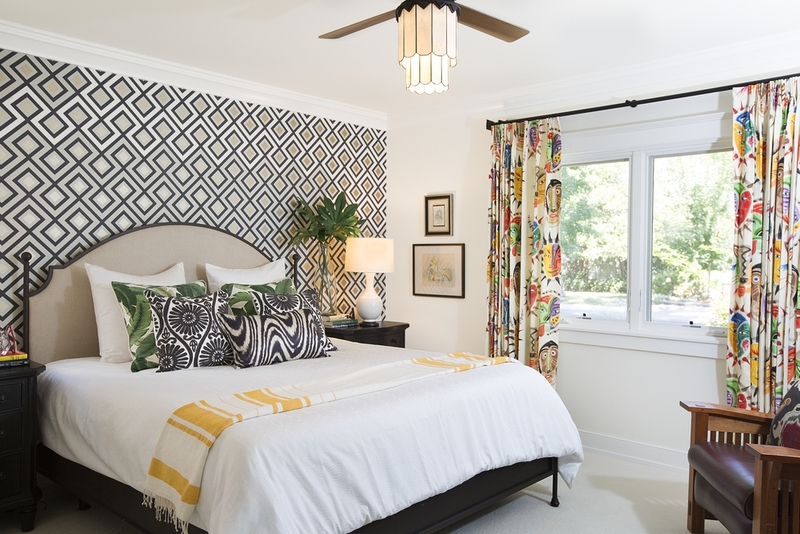 This master bedroom drapery fabric reflects the home’s overall color palette, with punches of yellow, green and reds, with green and black in throw pillows and throw. The homeowner’s colorful collection of scarves easily blends with the flexible palette and is a perfect decorating accessory. You love color! And no doubt travel treasures, an irresistible fashion trend or a love affair with a piece of artwork will make their mark on your home through the years. Creating a neutral home canvas of finishes, and deliberately selecting a multi-layered color palette that is repeated throughout your home will let you embrace these colorful additions without fail. 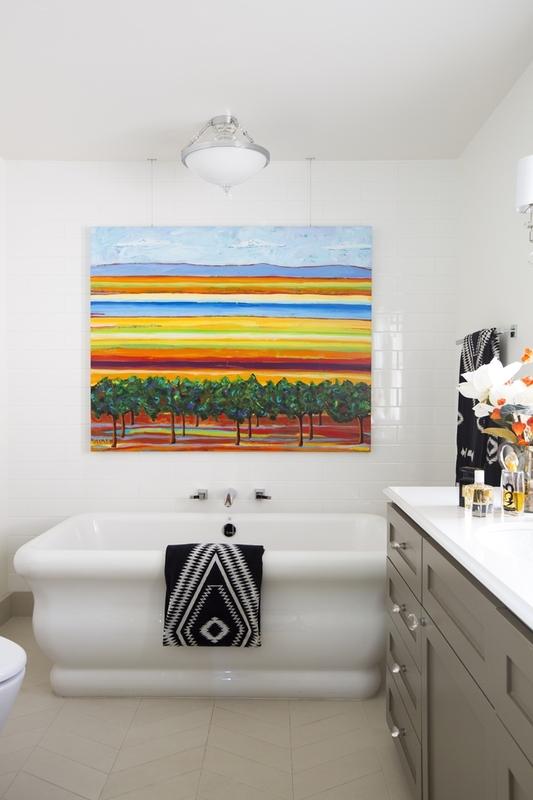 Laura is an award-winning residential interior designer based in Sacramento, CA and working for Decorist online. 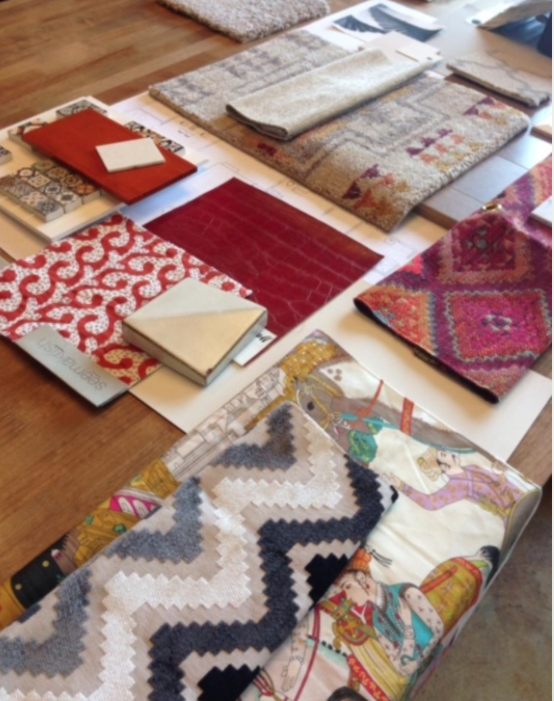 If you want to add a healthy dose of color to your home then be sure to pop over to Laura's page to start a design project with her today!